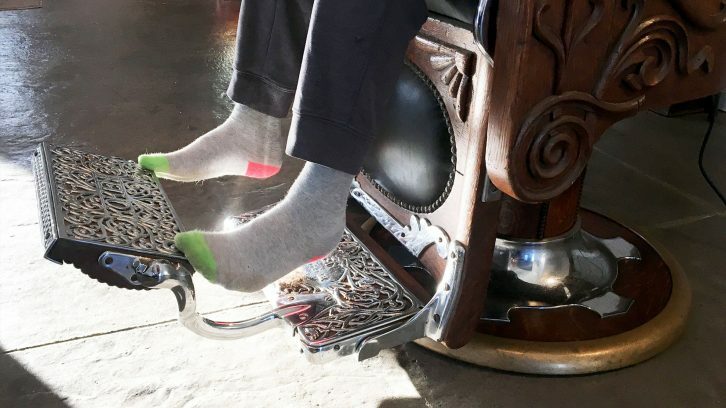 Eleven-year-old Josiah Brown's feet just reach the chrome foot pedal of Jack Desmond's barber chair. Robert Brown has a 60-year-old barber chair in his living room. As the former barber trims his son’s hair, he tells the story of how the chair belonged to Jack Desmond. “Even though I didn’t know him personally, it’s part of my history as a black man,” said Brown from his home in East Preston. Jack Desmond was the first licensed black barber in Nova Scotia, and husband of civil rights activist Viola Desmond. 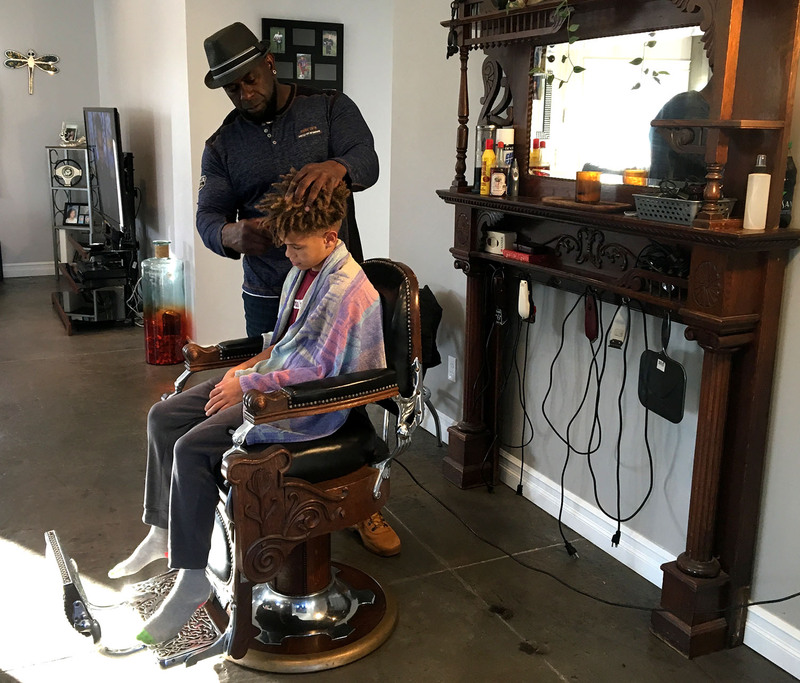 Left: Josiah Brown sits in his father’s barber chair, Nov. 11, 2018. He worked in Halifax from 1932 through to the late ‘50s at Jack’s Barber Shop located at 136 ½ Gottingen St., near his wife’s beauty shop. The Desmonds worked together in 1946 when Viola was arrested for sitting in the whites only section of a movie theatre, an act that challenged racial segregation laws in Canada. “I wouldn’t even have been able to sit in the coloured section,” said Brown, 47. “I’m too dark.” As he touched up 11-year-old Josiah’s shave, he talked about a time in the ‘70s when a bus driver yelled at him and his sister for getting on the bus through the front door. He said barbershops have a special meaning to the black community, as they are a place to hang out and share stories. Brown used to own a barbershop in East Preston called King’s Barber. Everybody who came in would get what he called “the King treatment,” as he treated everyone equally. He was surprised to learn that Desmond had been known as the King of Gottingen Street in his day. When his shop was open, Brown would encourage men to bring their sons to get a free haircut. “I wanted fathers to spend more time with their sons,” he said. 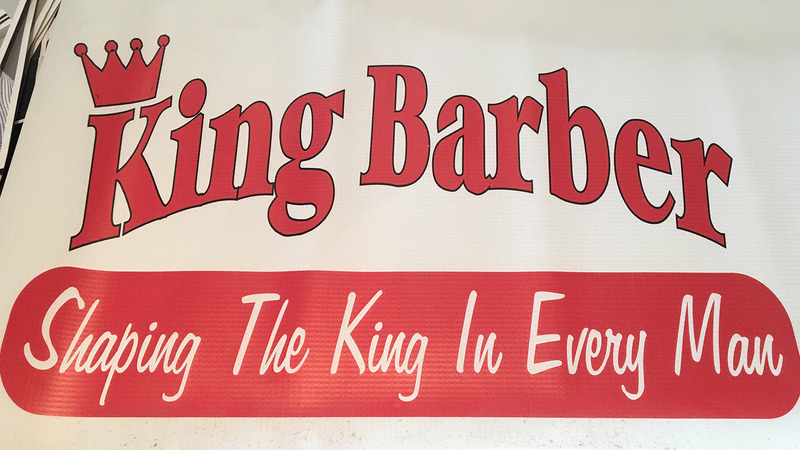 “A good way of doing that was to come to a barbershop.” King’s Barber closed in 2006. 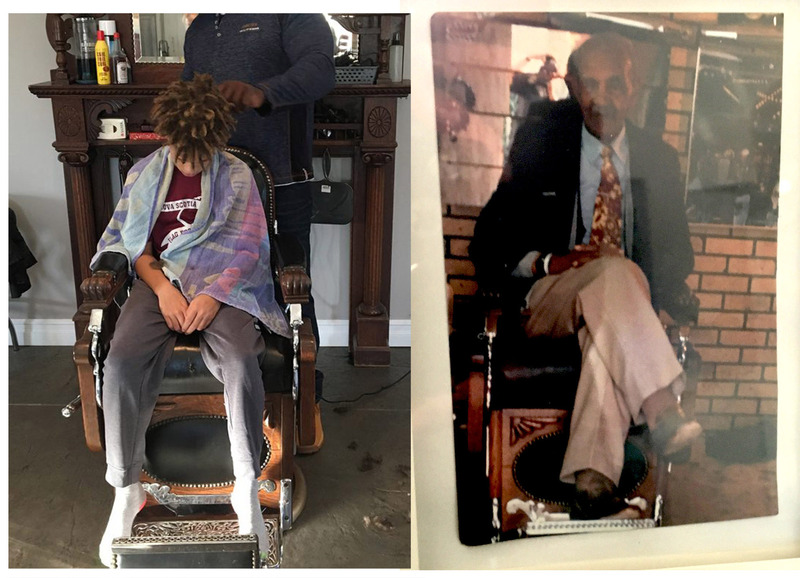 Desmond’s chair now sits in front of an ornate wooden shelf holding Brown’s barber tools, a mirror, and a picture of the former owner. In the photo, Desmond is sitting in the same chair. As he finishes his son’s haircut, Brown glances at the old photo on the mantle. He considers Desmond a father figure. The chair also holds memories for members of the Desmond family, like Jack and Viola’s grand-nephew, Marshall Desmond. He said his grandfather would bring him and his brother to “Jack the barber” when they were children. The chair was acquired 12 years ago by Robert’s cousin Buzzy Brown, who had an embroidery business in Halifax. Buzzy was close with the Desmond family, said Brown. He spent years restoring the chair, including stripping off the white paint it had been covered with, so it now matches the chair in the photo. Brown bought it from his cousin in 2010. He said he’d be willing to sell the chair to a museum, but, for now, it remains a centrepiece in his home.